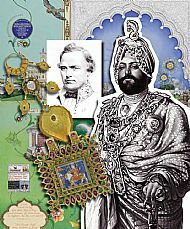 The 2014 summer exhibition was "From Stromness to the Punjab: Sir John Login, Maharaja Duleep Singh and the treasures of Lahore". 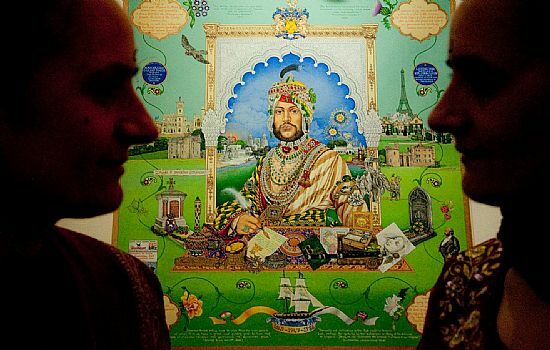 A new portrait by The Singh Twins was unveiled at Stromness Museum as part of the 2014 Summer exhibition From Stromness to the Punjab. 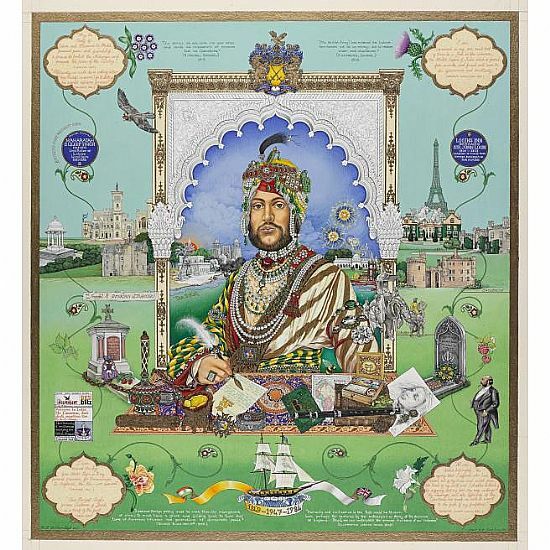 ‘Casualty of War: A Portrait of Maharaja Duleep Singh’ was commissioned by National Museums Scotland in 2013 with financial support from the British Council Scotland. The painting features objects from the collections of National Museums Scotland which once belonged to Maharajah Duleep Singh (1838-1893), the last Sikh ruler of the Punjab. The objects themselves were loaned to Stromness Museum for display alongside the painting during our 2014 summer exhibition. They included intricately enamelled bracelets and pendants set with precious stones. Together, all these ornaments gave a glimpse of the splendour of life at Lahore court in the early 19th century. 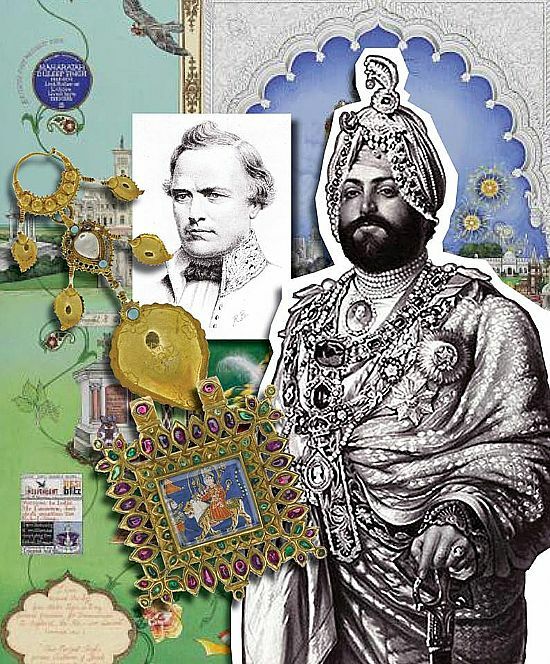 In a statement The Singh Twins said: "The Maharaja Duleep Singh portrait commission has given us the opportunity to further explore our personal interest in the life and times of a man who is not only significant in the shared history of Scotland and India but whose tragic story continues to hold fascination for both Sikhs and non-Sikhs alike. We've had the pleasure of working with National Museums Scotland over the past fourteen years but it has been a special privilege for us to be able to access such precious objects from their collections in the making of this latest painting." The Singh Twins are contemporary British artists of international standing whose award winning paintings have been acknowledged as constituting a unique genre in British Art and for initiating a new movement in the revival of the Indian miniature tradition within modern art practice. Describing their work as ‘Past – Modern’ (as opposed to Post Modern), their work engages with important areas of critical debate - challenging existing stereotypes and redefining generally accepted, narrow perceptions of heritage and identity in art and society. Combining elements from western and eastern aesthetics they assert the value of traditional and non-European art forms to the continuing development of contemporary art practice - exploring cultural, social and political issues of global significance within a highly decorative, often witty and symbolic style which has universal appeal and transcends cultural barriers. Their contribution to the arts on an international platform was officially recognized by their home city in UK, when they were made Honorary Citizens of Liverpool in 2009. 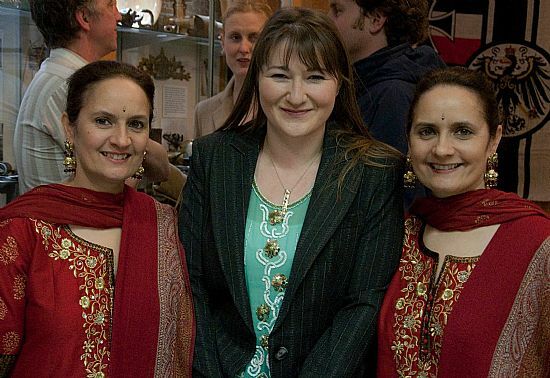 Their work also received formal recognition at the highest level of the British establishment in 2011, when they were each awarded an MBE in the Queen’s Birthday Honours List, for services to the Indian miniature tradition of painting within contemporary art. 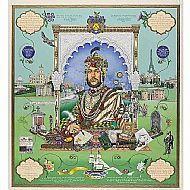 In 'Casualty of War', a contemporary work completed in the miniature painting tradition, artists The Singh Twins reflected on their personal view of Duleep Singh’s life and on their own Sikh heritage in Britain today. The makara is a mythological creature with a fish-like body and the head of a crocodile or an elephant. Associated with different deities, it is a symbol of the creative and destructive forces of life. The open jaws of the makara are of particular significance, the rows of sharp teeth a sign of its fearsome character. 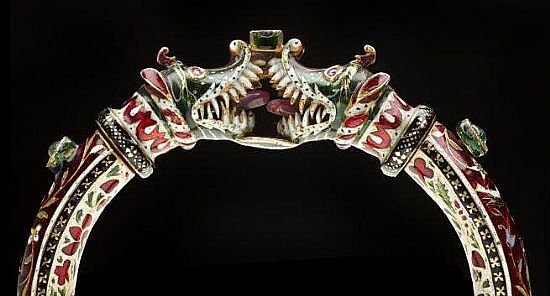 Intricately enamelled bracelets were worn by Sikh men at the court. The bracelet pictured is from Northern India, Rajasthan, late 18th/early 19th century, and contains gold, enamel, emeralds, and rubies. (Height 7.8 cm). National Museums Scotland Accession number A.1911.455.